From Providence we headed south west through Connecticut towards New York – stopping only briefly for petrol and some breakfast. We’d purchased the return ’empty’ option on our rental car so we’re determined to not spend a penny more than necessary. We also bought a lottery ticket for the $750m Powerball lottery – alas we didn’t win and we’re not secret millions. We’d timed our drive to arrive in New York around 1.30pm and return our car before the 3pm deadline. 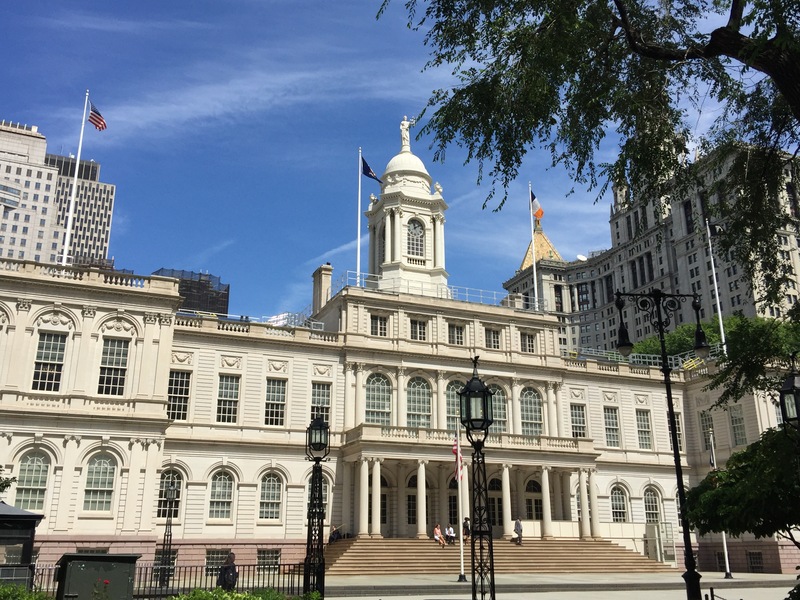 All was progressing smoothly until we reached the Bronx – the first 150 miles of our drive had taken two hours and the last 15 miles would take roughly the same. We crawled through traffic and across onto Manhattan island – stuck in the car while the greatest solar eclipse seen in the USA for over 100 years passed overhead. As an hour became two, we noticed our petrol warning light was on – we were down to 30 miles in the tank and were still 10 miles from the rental garage. Given it was a baking hot day the aircon had been essential but we had to turn it off and open the windows to save fuel. It was nearly 3.30pm by the time we cleared the traffic on the Hudson Highway and passed an innocuous looking broken down lorry which was causing chaos simply due to a emergency services vehicle unnecessarily blocking a second of the three lanes. We finally made it to the Thrifty Manhattan office and were greeted with chaos. Luckily we got served by the one guy in the office who knew what he was doing and we breezed through the return – saying goodbye to the Nissan Pathfinder which we’d had for 23 days and driven 5,600 miles (9,000km). Given how late it now was we decided to get an Uber to the Stewart Hotel of 31st and 7th Avenue. Check in was laboured but we eventually got to our room – whilst an amazing location and beautiful lobby our budget room was very basic – motivation to get out and see the city. 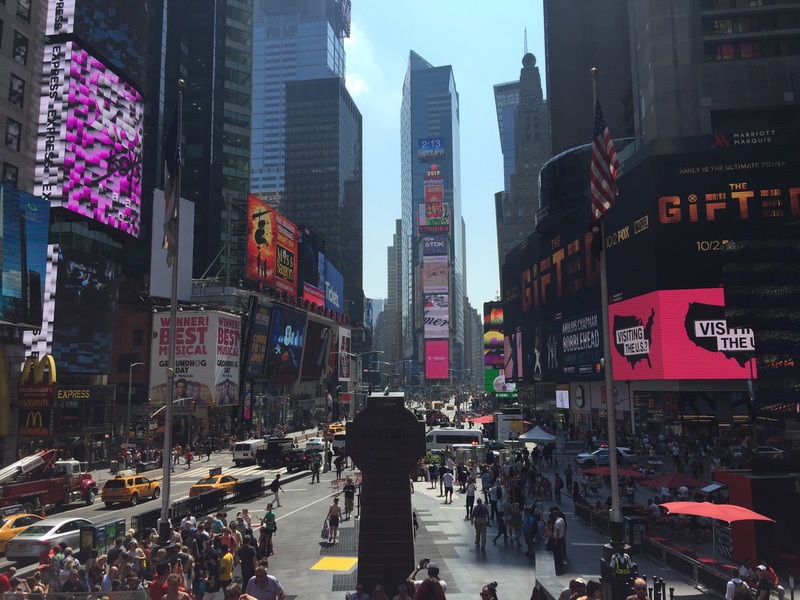 After a well deserved lay in we headed out into the baking heat of a New York summer. All our previous visits had been during winter and so it was something of a shock to be bit by the heat and humidity of NY at its hottest. 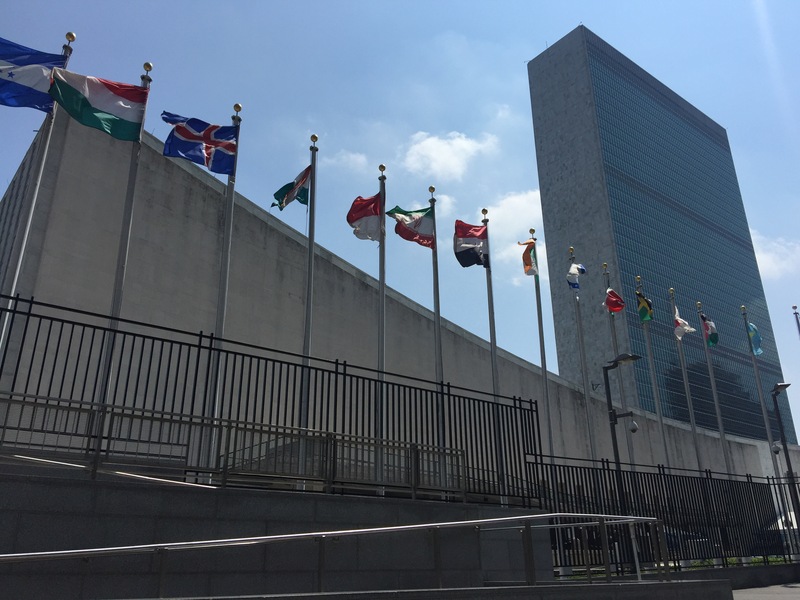 We laboured our way down to the United Nations HQ, drenched in sweat after just a 30min walk. After taking photos and trying to work out the obscure national flags that lined the compound, we headed up passed the Empire State Building to Time Square. Time Square was packed as expected – mobbed with a mix of tourists, police, busy locals and crazies – many of them street performers wearing ill-fitting superhero costumes – somehow hoping a tourist will pay money to have a photo taken with a fat batman (Superman, Deadpool or Wonder Woman). Whilst still fun to see, the whole spectacle is nowhere near as impressive during the day time as in the evening. The next morning we were up early for our trip to the Statue of Liberty. We were booked on the 10am boat but for some reason arrived at Battery Park around 8.30am and had to wait. After a pretzel for breakfast we successfully sneaked on to an earlier boat. 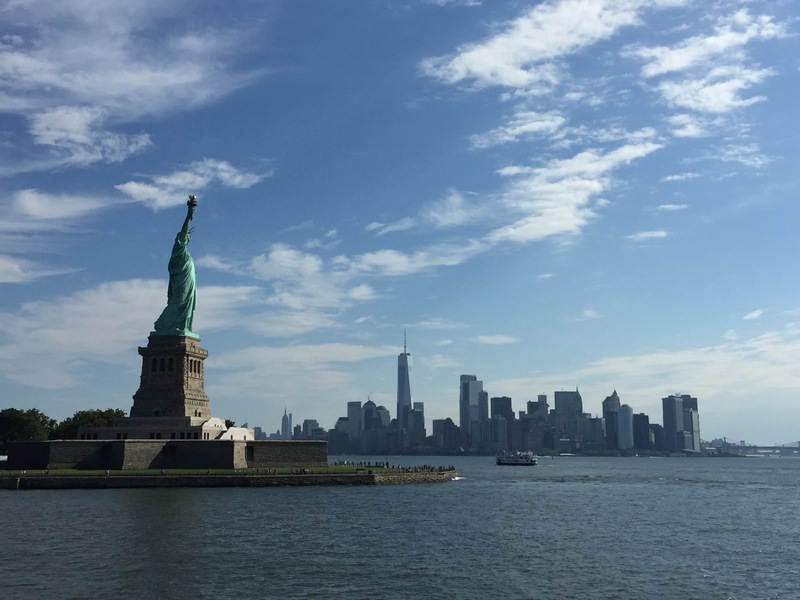 In our previous visits we’d not managed to get onto Liberty island, so our tickets with pedestal access was a first. The boat ride the 2 miles across to the island takes around 10mins with most passengers crowding onto the sundeck to get a shot of the whole island as the boat swings passed to dock. Once on land we grabbed an audio guide and headed to the pedestal entrance. After clearing yet more security we climbed the 170 or so stairs up to the pedestal on which Lady Liberty stands. If I’m honest it was all a little underwhelming – because of the proximity to the statue you couldn’t see much, apart from look up her skirt and down onto the masses below. The real highlight of the extra fee was access to the small museum which documented the history and engineering of the statue. At the end of the Island behind the statue the Park service is building a brand new museum – in coming years once it’s moved I’m not sure there will be any point in going up the statue, other than to say you’ve done it. After descending to ground level we joined the masses and completed the walk around the statue – stopping for photos back towards NYC in the distance. From Liberty Island we boarded the boat back to NY. and hopped off at Ellis island, which was once the immigration centre for migrants arriving in America. The museum is packed full of first hand accounts of Americas history of welcoming migrants from around the world – I wonder if President Trump has ever bothered visiting? 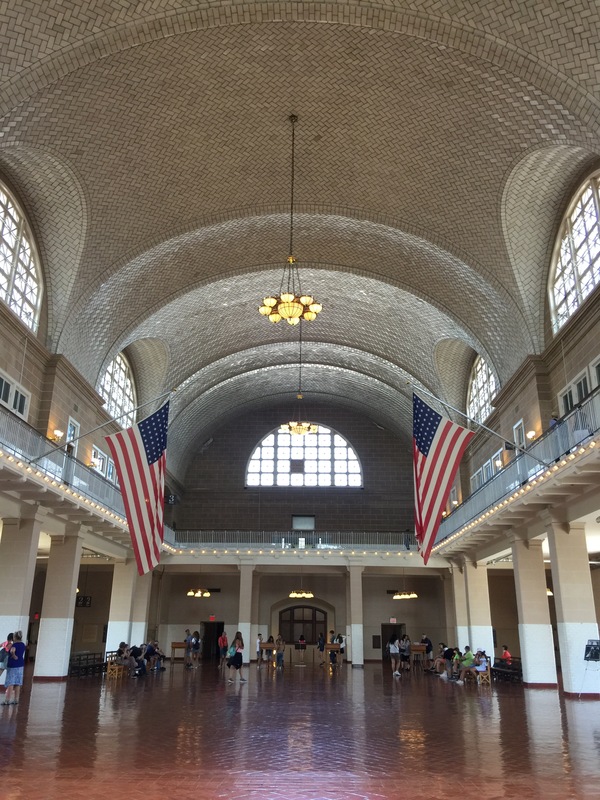 The Ellis Island museum is vast – after breezing through in about 90mins we’d had information overload and headed back on the boat to Battery Park. Back on dry land we decided to tick off some big sights on our walk home. 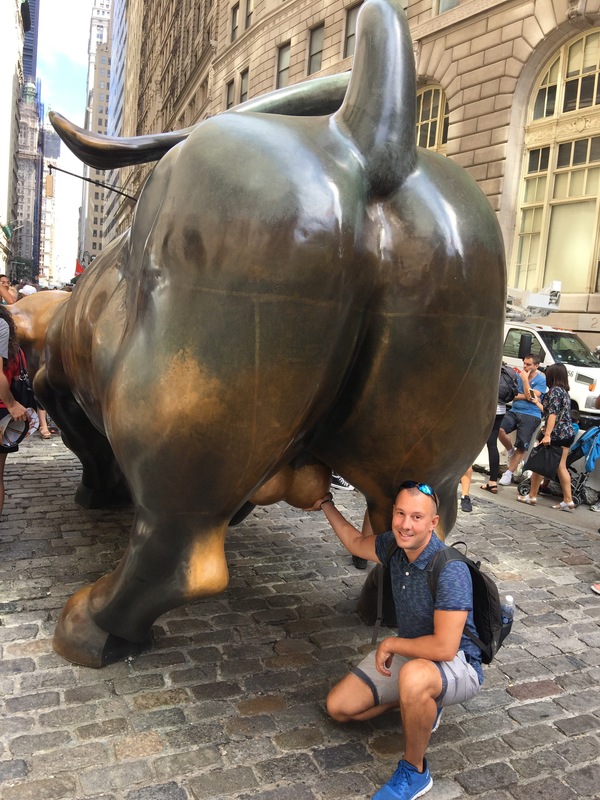 First stop was the ‘Charging Bull’ near Wall Street – a favourite with Chinese tourists who believe stroking its testicles is good luck and can bring wealth. 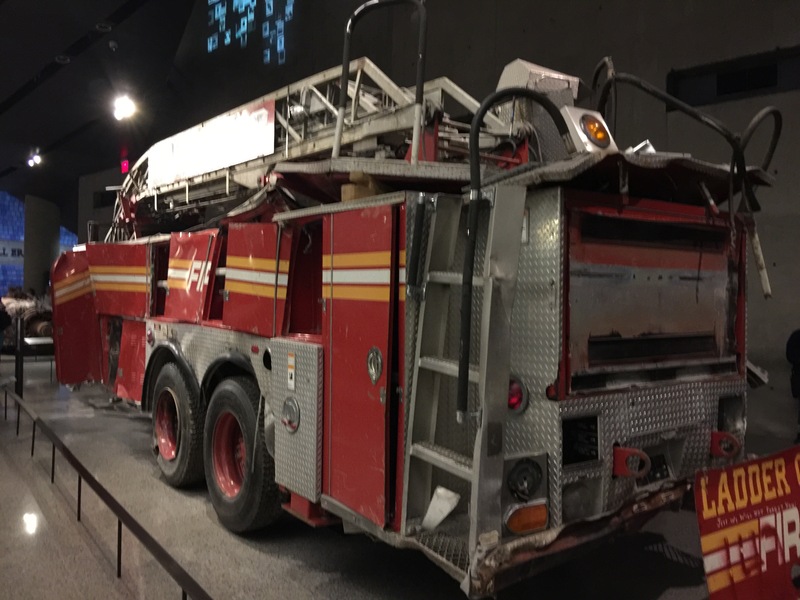 From there we headed to ‘Ground Zero’ and after pausing at the memorial, visited the 9/11 Museum. Last time we’d visited we’d skipped the museum so this was a first – and it sure didn’t disappoint. The Museum is one of the most poignant and beautifully curated I’ve ever visited. I had goosebumps from the moment I entered – watching footage, seeing up close the mangled wrecks of fire trucks and staring sombrely at the faces of the nearly 3,000 victims of the tragedy. 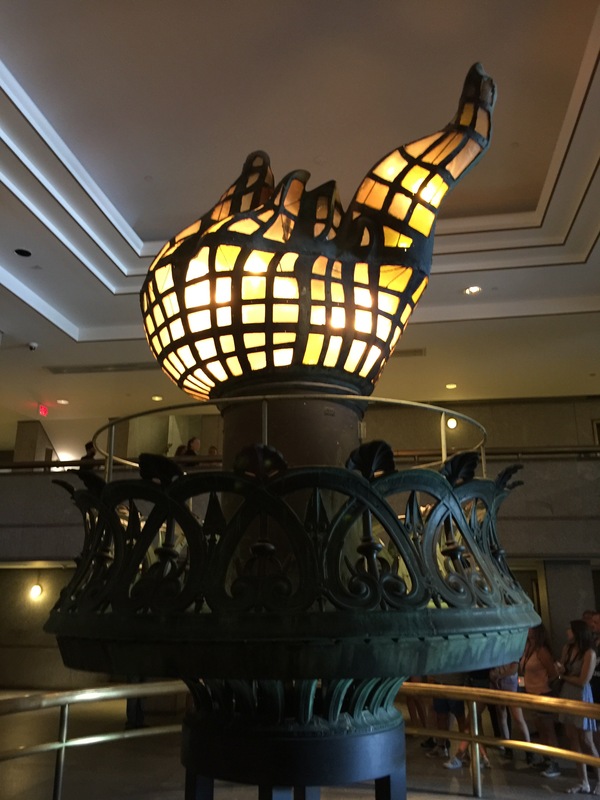 For anyone who hasn’t visited – I would rate the museum as an absolute must see. From the WTC site we walked uptown to City Hall where we tools photos as important looking Police and Fire Chiefs entered and exited the building. Slightly further up the road we walked passed the impressive Court buildings and into Little Italy where we stopped for lunch. After some pasta, gnocchi and wine we walked up to the George Washington Arch – taking photos both of the Arch and behind it, back down to the Freedom Tower. 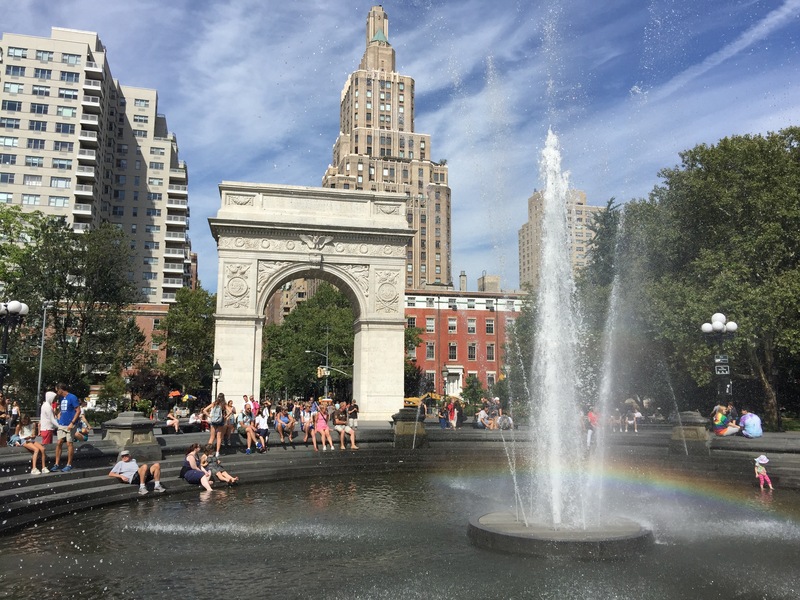 The last leg of our walk took us up through Union Square Park and then passed the Flatiron Building, one of our favourites in NYC. By the time we reached our hotel on 31st and 7th Avenue we were shattered. With aching feet and legs we called it a night and enjoyed a relaxed evening watching TV and catching up on blogs.